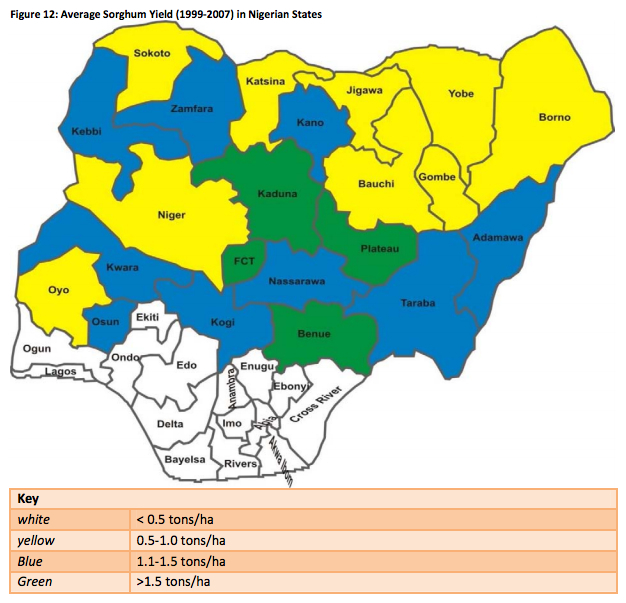 Nigeria’s domestic wheat production is small at 70,000 tons in MY 2013/2014. 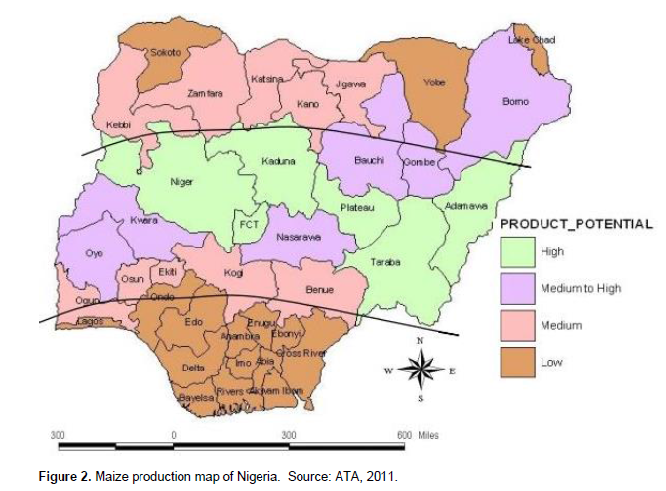 Nigeria’s northern states of Bornu, Yobe, Jigawa, Kano, Zamfara, Katsina, Adamawa, Sokoto and Kebbi, are major wheat growing areas, where it is known by the local name "Alikama"
Nigeria ranked 16th on the global tomato production scale, accounts for 10.79 per cent of Africa’s and 1.2 per cent of total world production of tomatoes. While tomatoes are cultivated in most states in the country, Jigawa, Katsina, Zamfara, Sokoto, Kaduna, Bauchi, Gombe, Taraba, Kano lead the pack in the commercial cultivation of the crop. 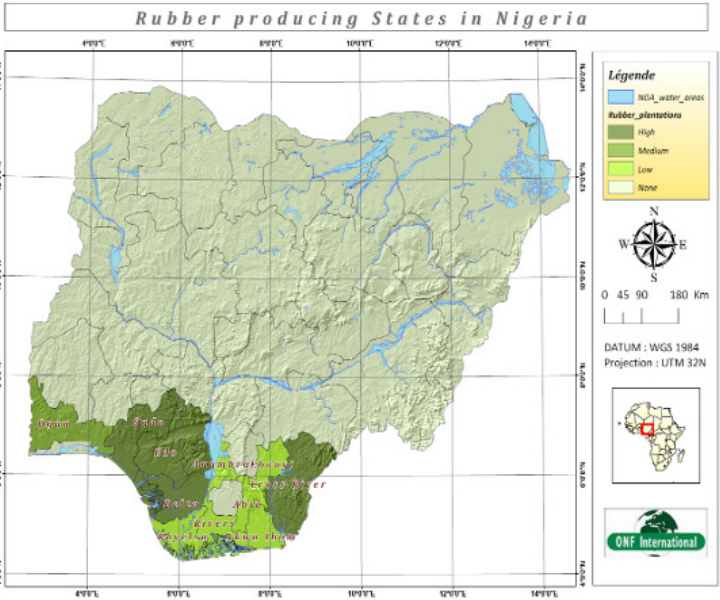 Nigeria is by far the world’s largest producer of yams, accounting for over 70–76 percent of the world production. According to the Food and Agricultural Organization report, in 1985, Nigeria produced 18.3 million tonnes of yam from 1.5 million hectares, representing 73.8 percent of total yam production in Africa. 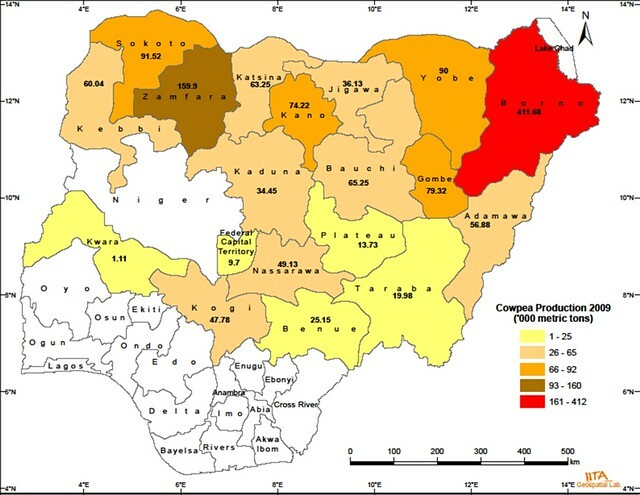 According to 2008 figures, yam production in Nigeria has nearly doubled since 1985, with Nigeria producing 35.017 million metric tonnes with value equivalent of US$5.654 billionThe major yam producing states in Nigeria are: Adamawa, Benue, Cross River, Delta, Edo, Ekiti, Imo, Kaduna, Kwara, Ogun, Ondo, Osun, Oyo, and Plateau. 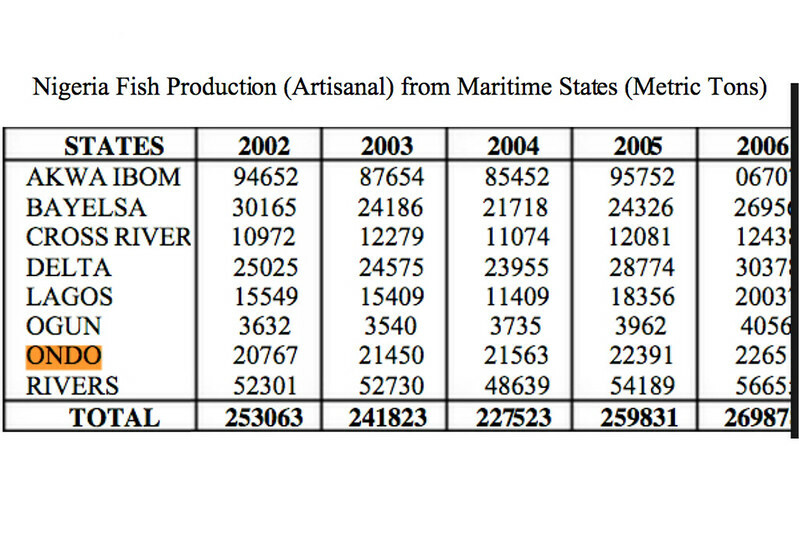 Benue state is however the largest producer. 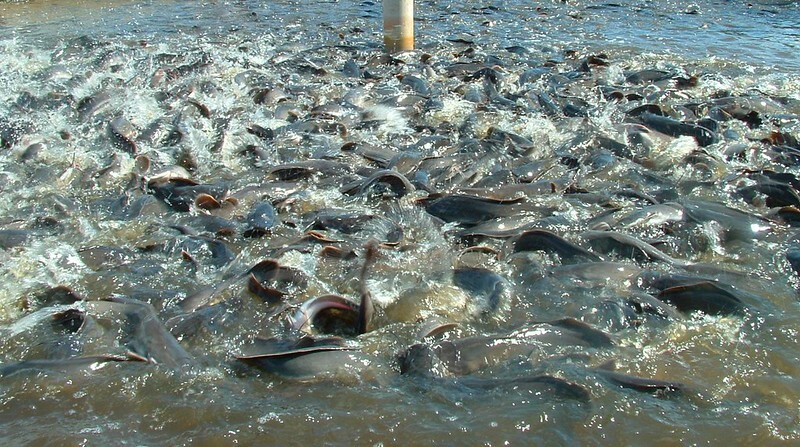 Seafood includes Mainly Fish (which is the sea dwelling specie harvested annually), but also, shrimps, periwinkles, clams, oysters, Crayfish Etc. 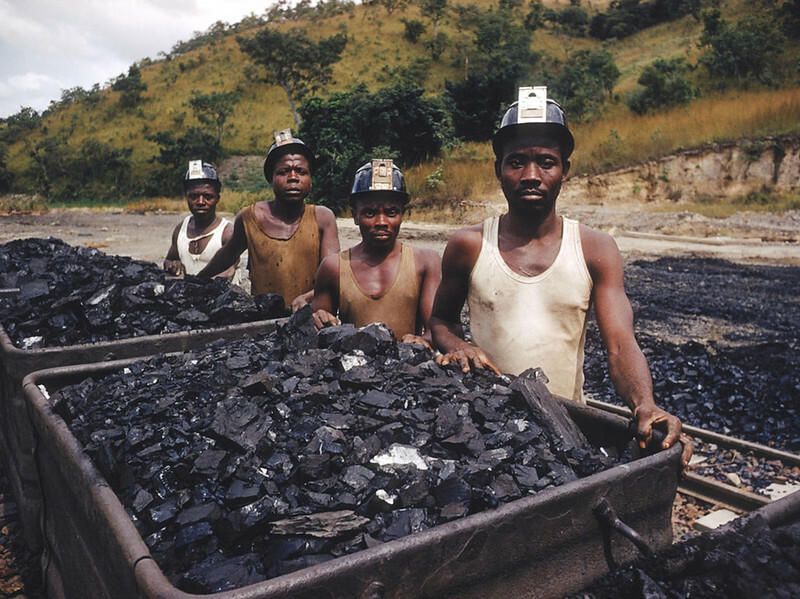 Of the 36 states in the country (Nigeria), 9 (Lagos, Ogun, Ondo, Edo, Bayelsa, Rivers Akwa Ibom and Cross River) are located in the coastal zone. 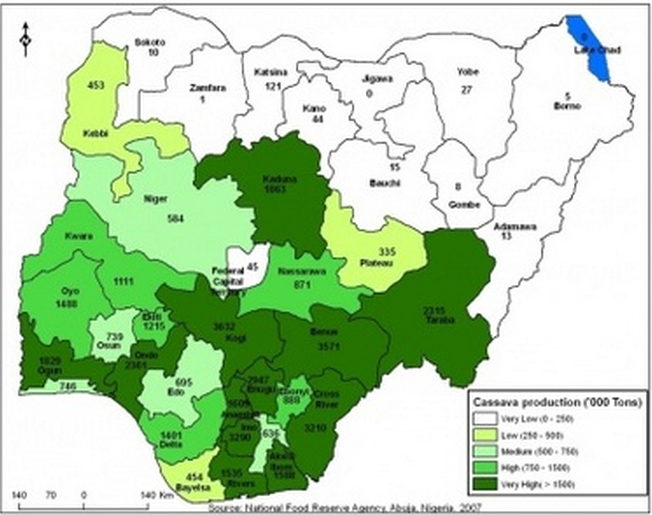 Nigeria is by far West Africa's largest rice producer. The rice producing areas can be subdivided into the Rain fed upland (30%), The Rain fed lowlands AKA "Fadama (47%), Irrigated (17%), and Deep water floating production (5%). 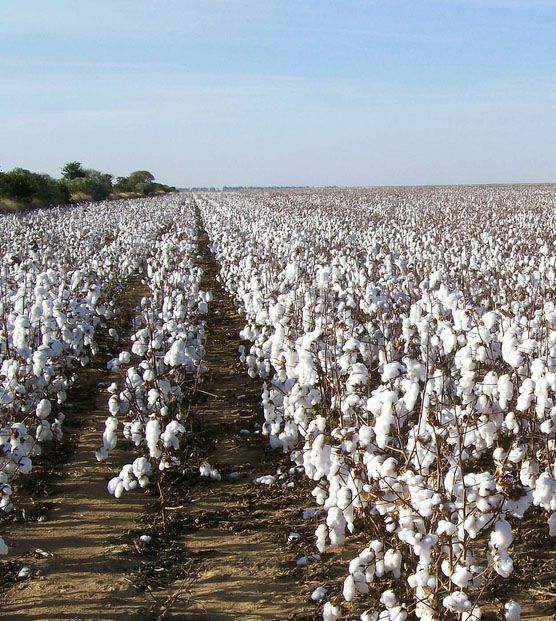 The main areas of rice cultivation in the country include the middle belt and Northern states of Benue, Borno, Kaduna, Kano, Niger and Taraba, as well as the South Eastern states of Enugu, Cross River and Ebonyi. Kaduna is the main producing state, followed by Niger, Benue, Ebonyi, Taraba, Kano and Borno The latter seven states account for over 67 percent of total rice production in the country. 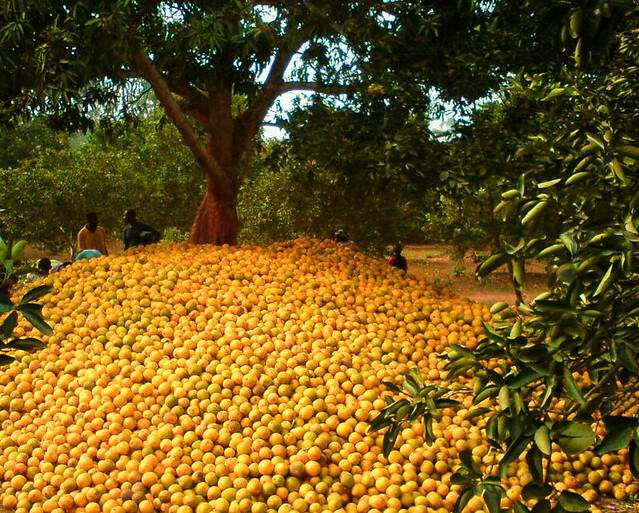 In Nigeria, about 3.4 Million metric tonnes of citrus fruits are produced annually (2013) from an estimated hectarage of 3 million hectares of land (FAO, 2008). The country is the 9th major citrus fruit producing country globally, just after italy. 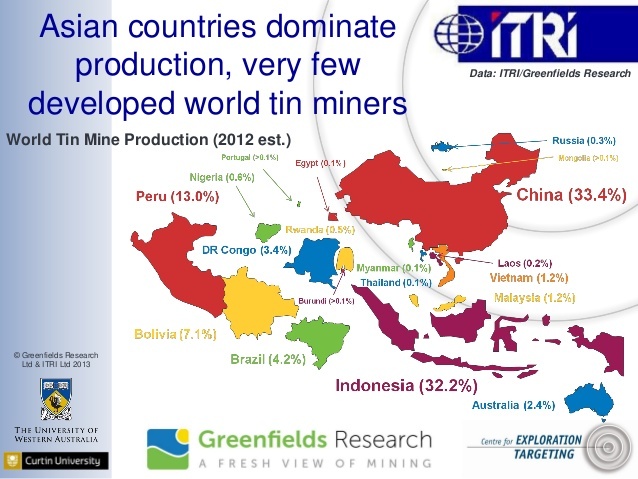 And the largest growing region in Africa, followed by Egypt, Morocco and South Africa. 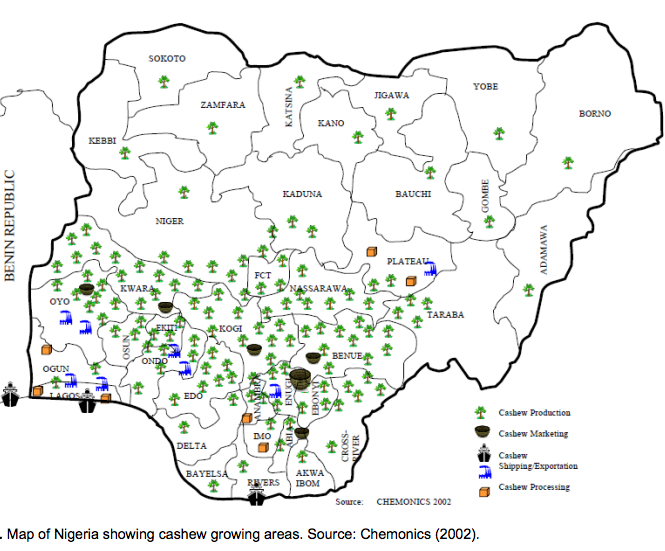 Major citrus producing states in Nigeria include Benue, Nassarawa, Kogi, Ogun, Oyo, Osun, Ebonyi, Kaduna, Taraba, Ekiti, Imo, Kwara, Edo, and Delta in that order. Most citrus production is accounted for by oranges, but significant quantities of grape fruits, lemons and limes are also grown. 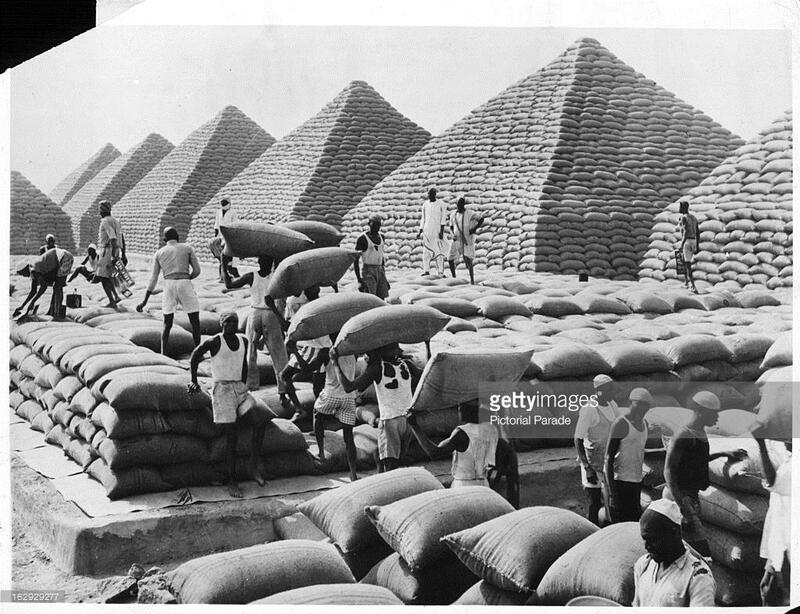 Fruit industry in Nigeria began under the western Regional government of Chief Obafemi Awolowo in the 1950’s. 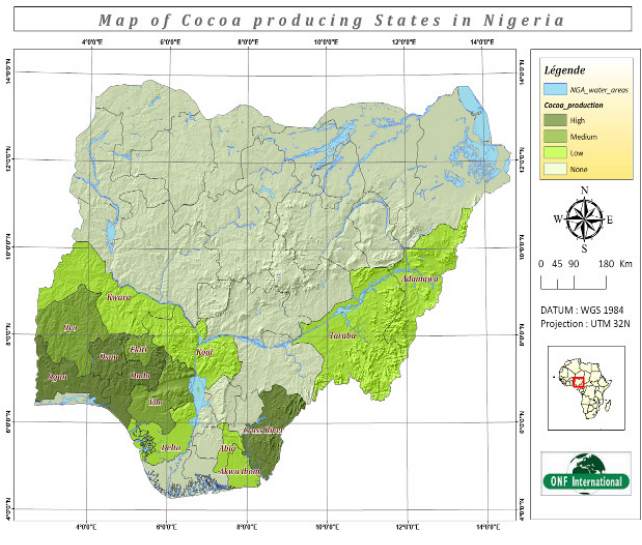 As a result of the down-turn in cocoa trade, consequent upon some pervasive microbiological attack, the government decided to start a pilot project in the cultivation of citrus and other fruits primarily as a way of providing farmers with an alternative source of income. 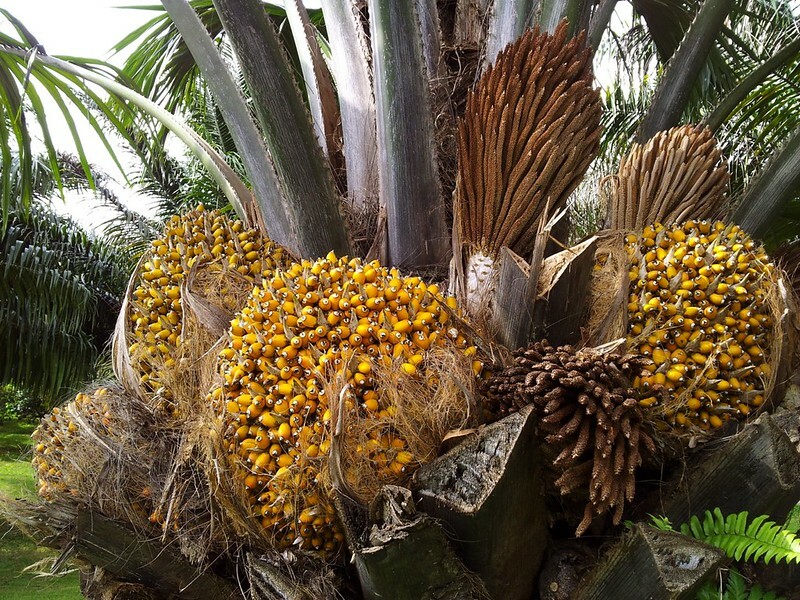 Thus, the Lafia caning factory in Ibadan was born in 1954, and to feed the factory, there was the establishment of Apoje Citrus Farm, backed with an aggressive Farm settlement scheme. 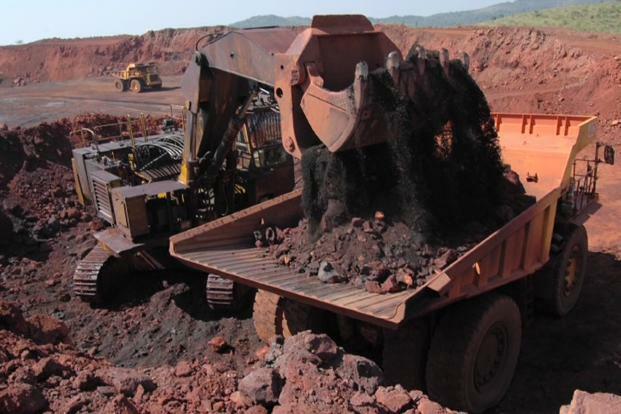 Interestingly, this has been bought by Funman Agricultural Product Ltd and it serves as its manufacturing base. From that small beginning in the 1950’s, fruit juice manufacturing in Nigeria has taken a giant leap. 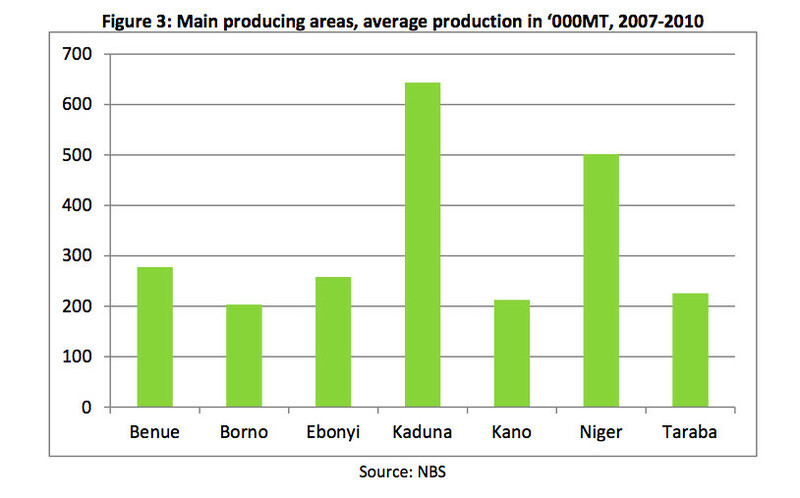 Sugar cane production is mainly located in the North Western region of the country with Kano State accounting for 30% of the national production (NBS) (2009). 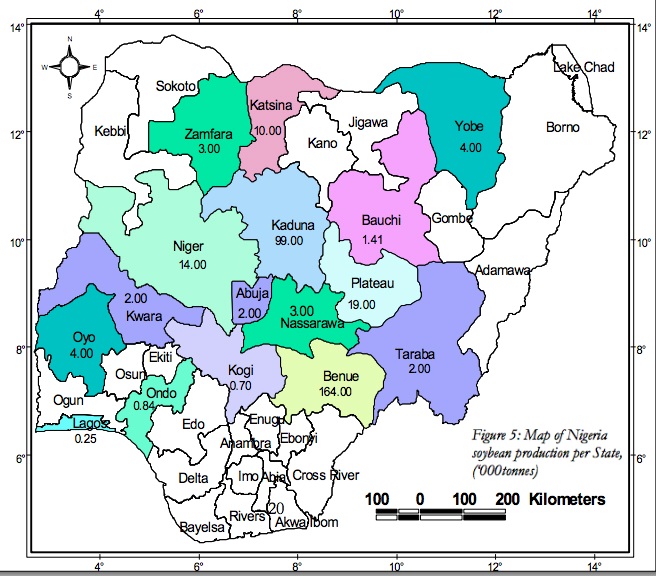 The border states of Kano, namely[b] Jigawa, Kaduna and Kastina[/b], represent respectively 8%, 13% and 13% of the domestic production. 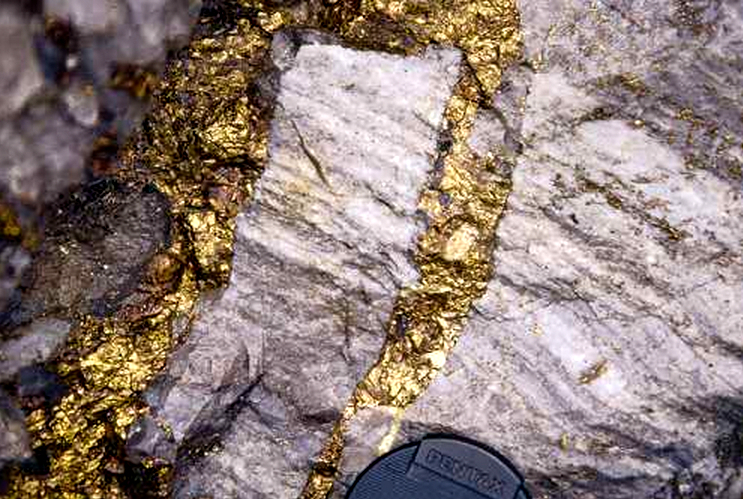 Two other regions remain important in terms of production: (Kebbi and Sokoto) as well as the North East (Taraba and Adamawa). 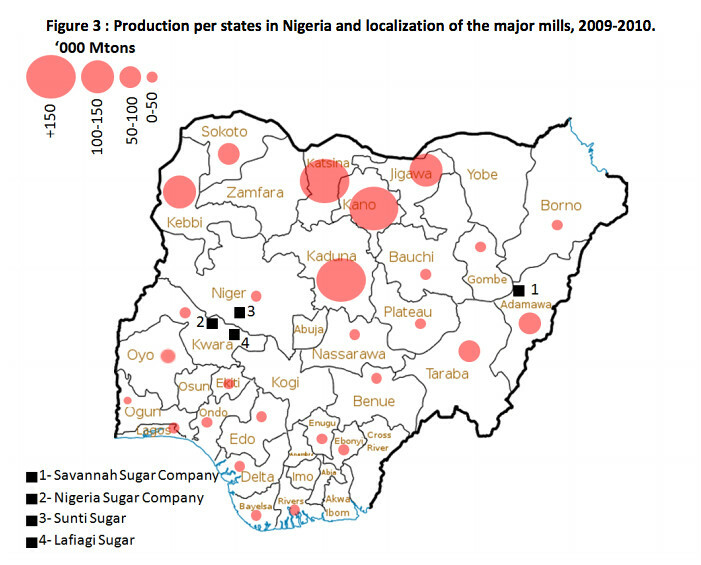 The 8 states mentioned above represented 86% of the total production in 2009-2010 (USDA, 2010) but most of the states in the country have reported production of sugar cane even if it refers to very small amounts.